Subterranean Love [Narrative Short]—Coming Soon. 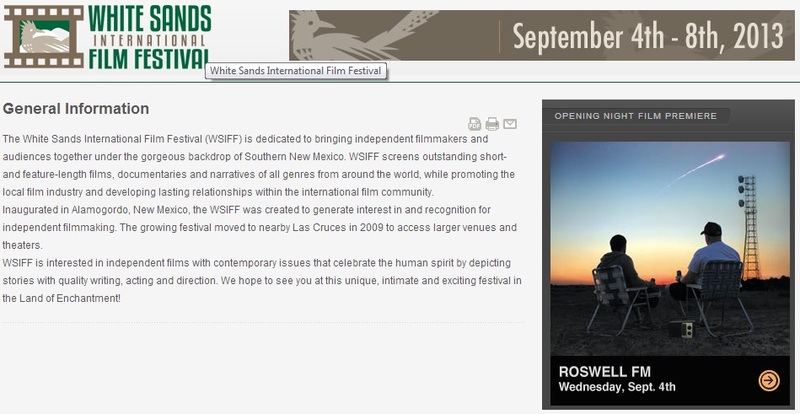 Spotlight (Roswell FM)–Interview with screenwriter David Spence. Click HERE. Spotlight (The Dress)–Interview with director Alvaro Congosto. Click HERE. Spotlight (Against the Grain)–Interview with director/writer Elias Mael and Actor Vaughn Wilkinson. Click HERE. Spotlight (Passionflower)–Interview with director Shelagh Carter. Click HERE. Interview with Lifetime Achievement Award winner Lou Diamond Phillips. Click HERE. I think the movie short “Dollar Night” is one of the best short films that I have seen in twenty years. Clearly outstanding. Quite the outstanding short indeed. I LOVE shorts so much. They are one of my favorite part of festivals and that one was great. Thanks for commenting! My review of it is coming. I hope you are enjoying the festival!